Yes, you read right. Spazzstick is lip balm infused with caffeine. It was developed by an Alaskan Police Officer who needed both quality lip balm for the cold and the ability to stay awake during long shifts. What else could you use to fight chapped lips and fatigue? You need to buy this. Be the envy of everyone on your block. Spazzstick comes in four flavors: Orange Cream, Mint, Vanilla Toffee, and brand new Chocolate Cake. Buy six or more of any flavor or combination of flavors and pay only $2.49 each! This stuff won't take the place of a good caffeinated beverage or similar, but as far as lip balm goes, this is some pretty prime stuff! It's very soft & smooth, and goes on great, and if delicious (though very strong) scents are your thing, Spazzstick might be PERFECT. The Vanilla Toffee flavour smells fantastic, but the scent is quite strong and can wind up setting in to whatever to store it with. There is no discernible taste. The balm itself is a pure white colour that is unfortunately reminiscent of vegetable shortening. Spazzstick is slightly softer than your average stick-form lip blam (possibly because it was developed in alaska? Lower temperatures would mean the balm would be more solid, after all.) and glides onto your lips very smoothly. I can't say I've noticed much of an effect energy-wise, but I have a very high Caffeine tolerance. The flavors are great, well at least the orange cream and vanilla toffee are, haven't tried the others. Not sure if there is an energy boost or not, but I wouldn't blame it on the lip balm, I've just had way too much caffeine so a little bit does very little, aka I'm not the best to ask when it comes to caffeine potency. Ahh... Spazzstick. I so far have only had the vanilla toffee, it smells awesome. I was pretty shocked that its actually GOOD lip balm. It'll give you a little jolt of energy if you need it, and keep yo' lips lookin fly. 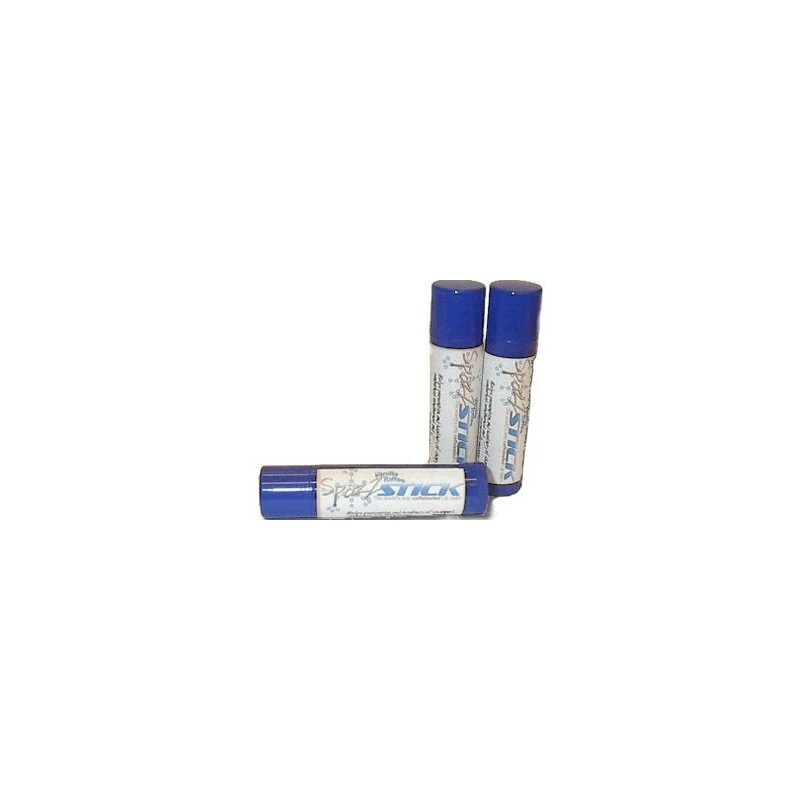 This lip balm is great because it keeps you active and is good tasting and smelling. Prepare to be hyper.